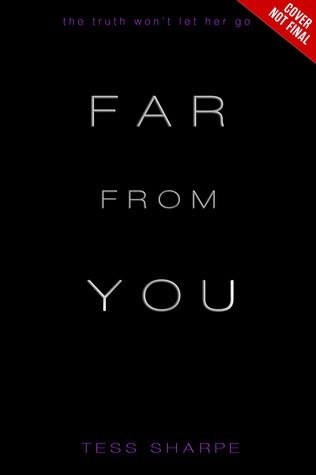 Far From You by Tess Sharpe was combination of absolutely everything that I love about YA. The story felt real and emotional. The characters were wonderfully created and relateable. The relationships between the characters was messy and complicated which made it heartbreaking to read. There was a diversity of characters which I always enjoy reading about, an interesting look at a difficult subject and a thrilling mystery that had me at the edge of my seat. I really shouldn't have tead Far From You when I did. I was studying for an important exam and this book isn't being published until April of next year. I didn't even fully know what it was about due to the vagueness of the product description (which I do have issues with, more on this later!) But on a whim, I clicked on this one to read on my Kindle and I just couldn't put it down once I'd started. I don't always love stories that are told for differing timelines and Far From You is told from THREE. But everything fit together really well with no confusion and I came to really enjoy the emotional impact that came with telling Mina and Sophie's story split over three sections. Sophie Winters has nearly died twice. The first was when she was 14 and she was involved in a car accident involving her best friend, Mina, and Mina's brother, Trev. That accident affected Sophie in many ways but two major consequences of that accident include... a limp that she'll have forever and an addiction to painkillers that will take years to kick. Then, at 17, Sophie nearly dies again. This time she's attacked in the woods alongside Mina ... who does not survive that attack. The third section of this story relates to several months after the death of Mina in which Sophie is finally released from a forced stint in rehab. Nobody - Trev, Sophie's parents, the police - believes Sophie's version of events or the fact that Sophie did not relapse. So on top of battling an addiction that will stay with her forever, grieving for the loss of her best friend, and without the support of friends or family Sophie is on a mission to track down Mina's killer and finally put to rest what happened that night. This mystery while a very large portion of the story is very interesting and twisty turny but at the same time, for me anyway, take a backseat to the main thing in the story - Sophie and Mina's friendship. Honestly, I went through so many feelings during the course of this book. Sophie and Mina's relationship is so beautiful and complicated and messy. And Sophie's grief over her death is so palpable. I felt her grief on every single page of Far From You. I also felt her anger at how little belief that her parents or anybody place in her. While it is understandable to have a shattered sense of belief in Sophie after she lied for several years about her oxy addiction it is also quite horrible how badly treated she is from the people who she expected to love and support her. I loved that this is a story about the consequences of addiction. The lying and concealment of it, the battle to fight it, and the destruction that it has caused in Sophie's life and in her relationships. And as Sophie recalls memories of her friendship with Mina, I experienced them too. I felt like I was part of this story, I felt like a member of this little trio between Sophie and Mina and Trev. I felt the heartrending betrayal and the grief and especially the different types of love. It was all in there. My only gripe with this story is that the product description is ambiguous about the secrets that Mina and Sophie share. I won't spoil it for you, but I don't believe this type of story needs to be misleading about what it is. Far From You is a beautiful and emotional story about friendship and love. It's a story about honesty and addiction and the aftermath and grief of traumatic experiences. I'm so glad that I picked it up to read and I couldn't recommend it any more than I do. I will be looking out for more by Tess Sharpe. 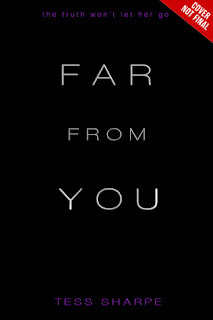 Far From You sounds like such an intense read! It's not the kind of book that I'd pick up myself, but I am intrigued by it. I'm pleased you enjoyed it, great review! Intense is a PERFECT word for the book. Also? Amazing.